Periodontitis is one of the most common diseases in America and yet one of the least-discussed, perhaps because it is not generally viewed as the serious health problem it is. According to a study by the CDC, 47.2% of Americans suffer some form of gum disease. Among adults over 65, that percent rises to 70%. Gum disease, when it progresses to periodontitis, can have serious repercussions for your oral and overall health. Periodontics treatment can help you avoid discomfort and pain down the road when you catch the disease early on. 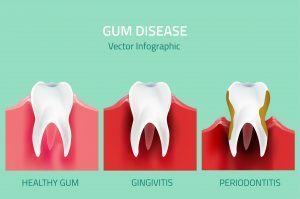 Here, we explain risk factors for gum disease, how you can know if you have gingivitis (periodontitis in its earliest stage), and how to address it. Gum disease is an inflammation caused by the bacteria in plaque, which is a sticky, colorless film that continually forms on your teeth. If it is not removed regularly and effectively through brushing and flossing, the plaque can spread to the gums. The bacteria in plaque produces toxins which irritate your gums and trigger a chronic inflammatory process in your body. In effect, your body turns on itself, causing a breakdown of your tissues and bone. Eventually, your gums will separate from your teeth and pockets between the teeth and gums become infected. If the disease progresses, your gums will recede, your teeth will become loose, and may eventually need to be removed. This likely explains why the average American has lost 12 teeth by age 50. 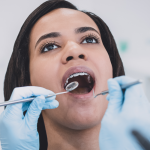 Risk factors for gingivitis include autoimmune or systemic disorders, diabetes, smoking, genetic predisposition, stress, inadequate nutrition, hormonal fluctuations, pregnancy, substance abuse, and certain medication use. 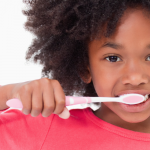 Risk factors aside, anyone can get gingivitis if they aren’t taking care of their teeth with good oral hygiene. Your gums bleed when you brush or floss. If you have just started flossing, it’s possible that you may experience bleeding for the first one to two weeks. If it continues past that time, there may be a more serious problem and you should see your dentist. Your gums look red, puffy or swollen, and feel tender. If you feel gum pain, that’s a red flag! You notice that your teeth look longer because the gums have receded. The gums have pulled away from your teeth, creating a pocket between your teeth and gums. You notice pus/discharge between your teeth and gums. You consistently have bad breath or a bad taste in your mouth. When gum disease is in its early stages, you can often improve your oral health with brushing and flossing. When you floss, be sure to pull the floss up against each tooth in the gap. In other words, you should floss twice for each gap to catch the plaque that has built up on both sides of the tooth. It is not necessary to floss hard, as this can cause bleeding. Periodontics treatment starts with a cleaning from your dentist or dental hygienist. Your hygienist will remove the plaque (or tartar, if plaque has hardened) on your teeth and below the gumline. At subsequent visits, your dentist will continue with more in-depth cleaning to keep your teeth clean and healthy. You’ll also learn about techniques you can use at home to mitigate the gum disease. Depending on the severity of your case, later periodontics treatment phases might include root planing, a procedure that helps smooth irregularities at your teeth roots. Root planing makes it harder for plaque to deposit on your teeth. 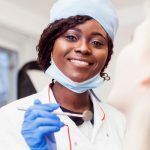 Pocket therapy techniques, endodontic therapy, and medication to control systemic disease and infection are all treatments available for gum disease; again, depending on how advanced your periodontitis has become. 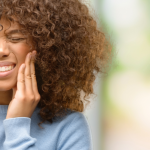 If you have symptoms discussed in this article, it’s important for you to get your gums checked out. Don’t wait for gum disease to get worse before you get help! 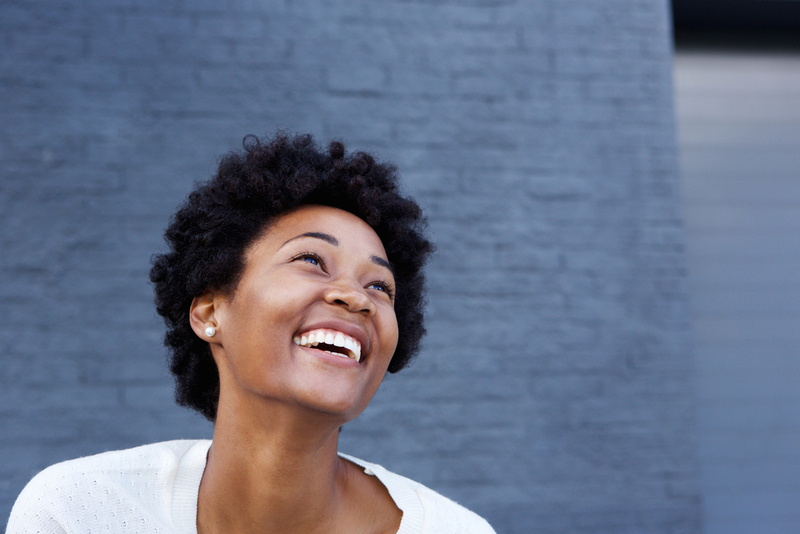 At Penn Dental Medicine, we offer reduced prices for periodontics therapy and other procedures. You can use this $25 off coupon for your first appointment. Don’t trust just anyone with your health and well-being. Depend on the doctors at Penn Dental Medicine to give you the quality treatment your teeth need and deserve. Call us at 215-898-8965 to schedule your first consultation!